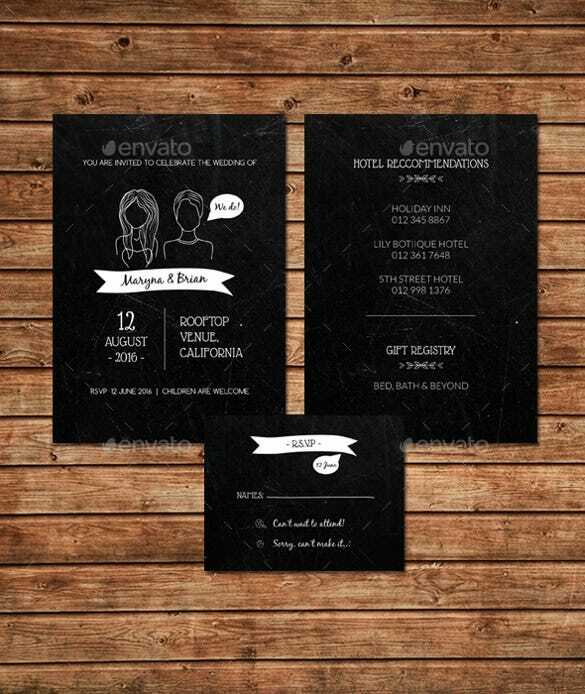 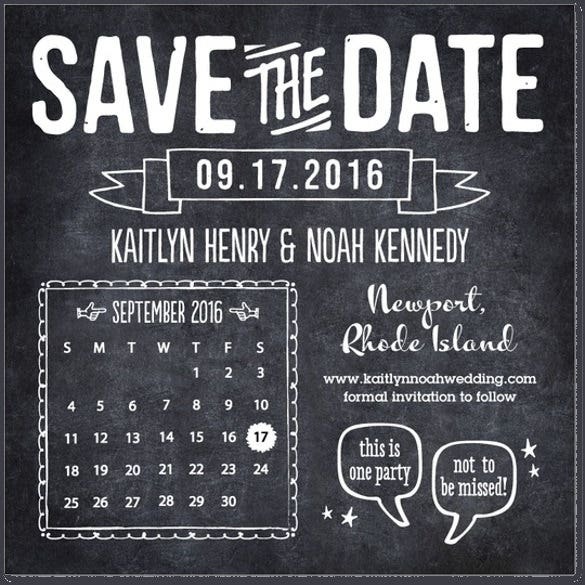 26+ Chalkboard Wedding Invitation Templates – Free Sample, Example Format Download! 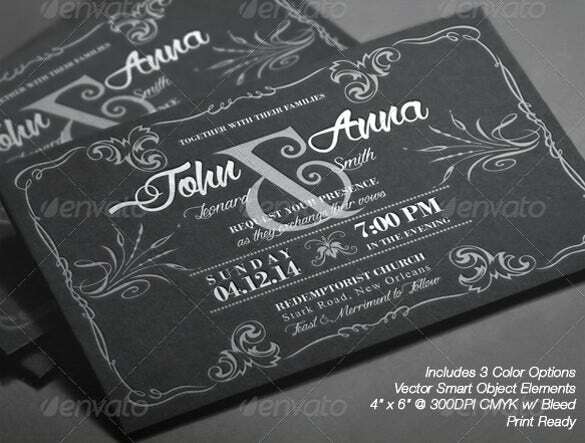 Talking of contrasts, the best example is that of black and white – i.e. 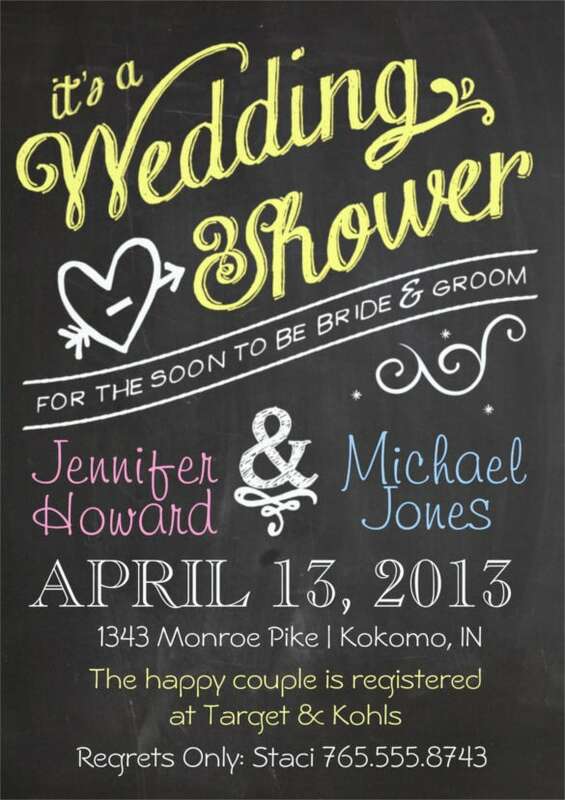 nothing but an invitation crafted using a chalk on a white board. 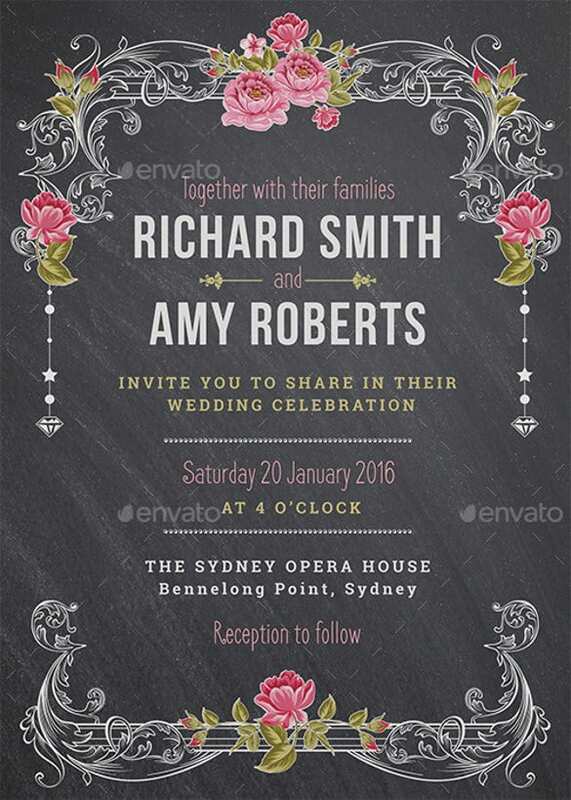 These wedding templates have the maximum scope of customization and showing one’s prowess in designing and architecture. 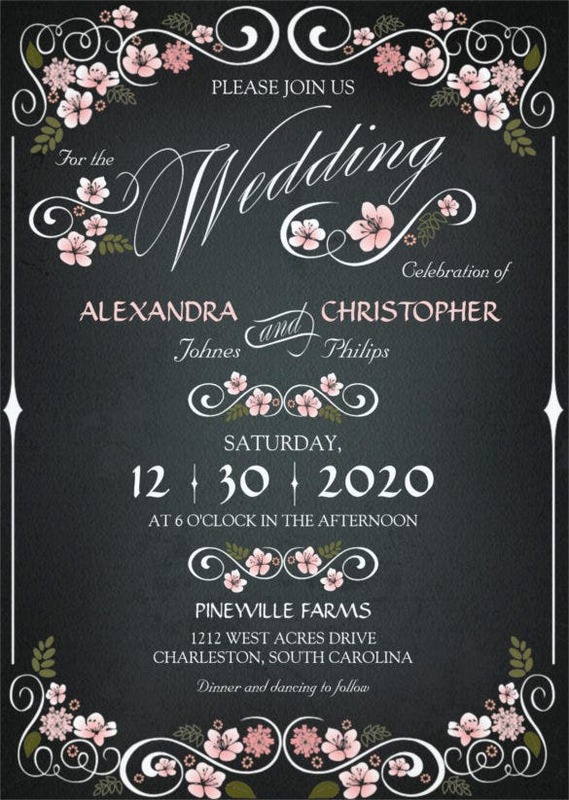 The background of these templates is mostly black so that the content (mostly in white) over it kind of illuminates and appears majestic.You can also see this vintage wedding invitation. 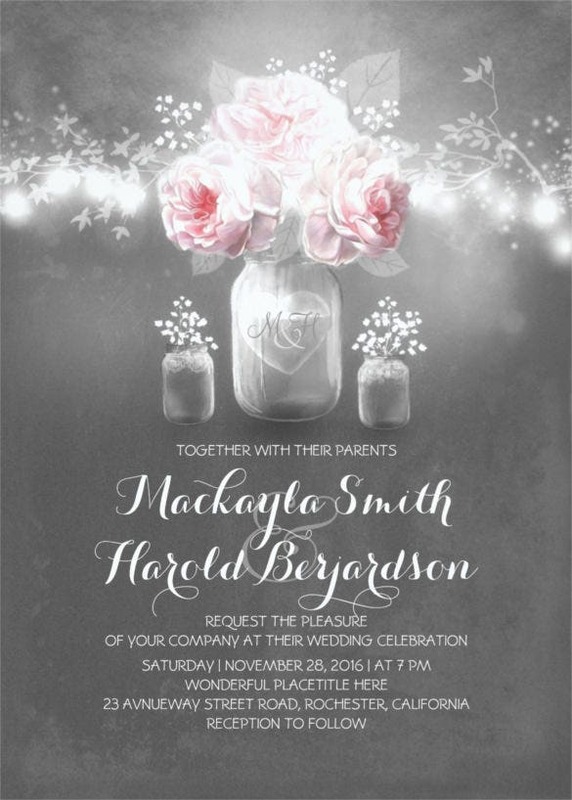 The choice of font and the entire craftsmanship in such kinds of templates are extremely important as color combinations or themes & shades have fewer roles to play in the beautification of such wedding invitation templates. 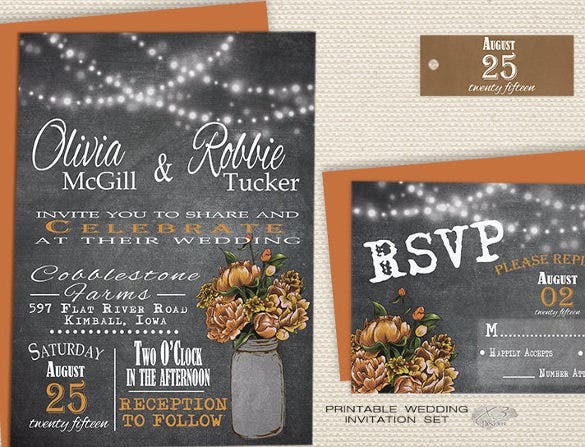 Ask your near and dear ones to join your wedding celebrations using this chalkboard Mason jar wedding invitation template that quietly and subtly makes a statement and leaves a mark of its own. 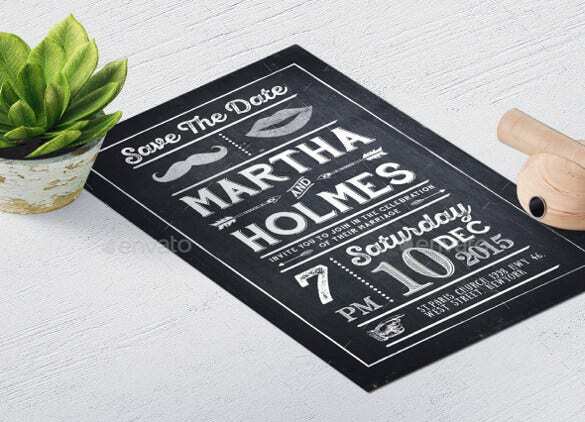 Chalkboard writing is one style that never gets too old. 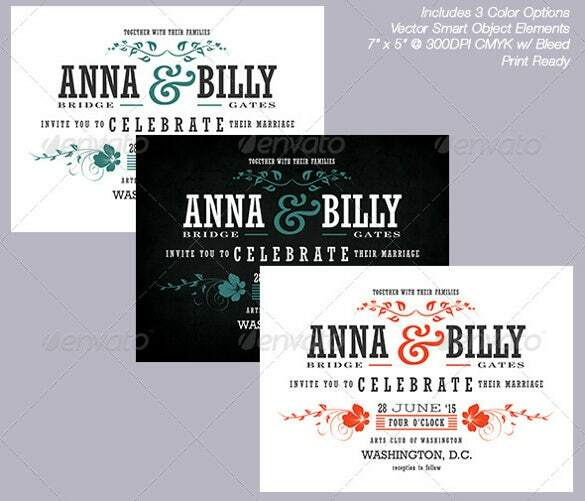 Use this very style to invite your family and friends for the celebrations of your big day. 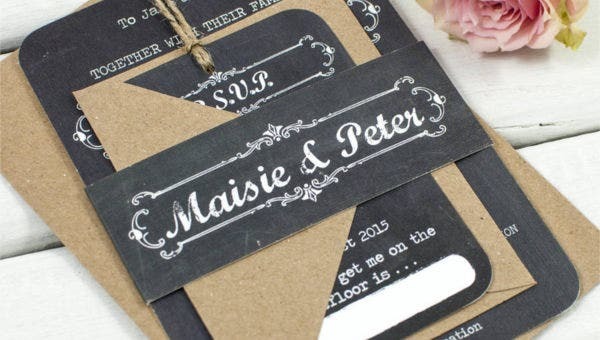 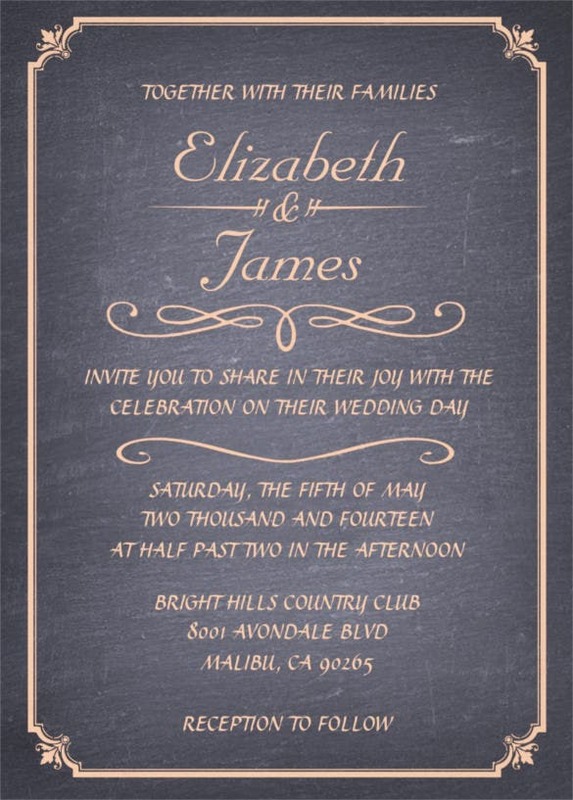 The chalkboard wedding invitation theme is subtle and very elegant. 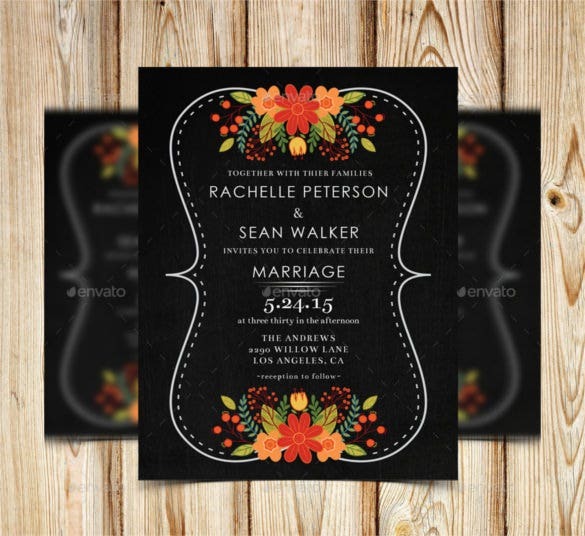 Get your family and friends together for your wedding by inviting them in style and simplicity with the help of this chalkboard floral wedding invitation card that has enthralling looks in all its simplicity. 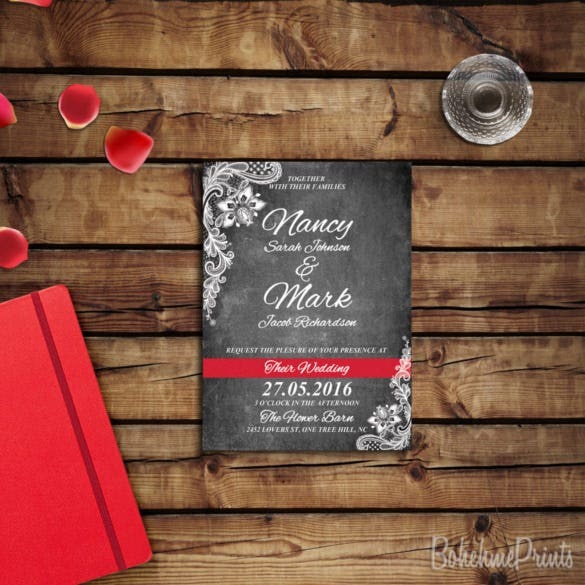 Your wedding is an event of grandeur and pomp so it is only right that your wedding invitation also goes in style and what style can be better than the evergreen black and white chalkboard design? 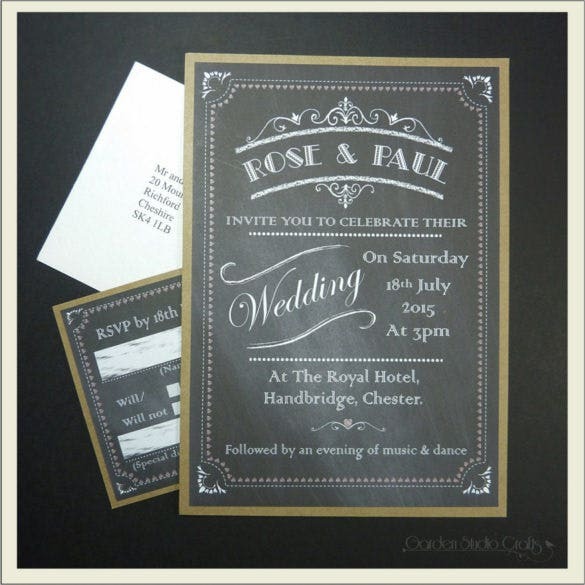 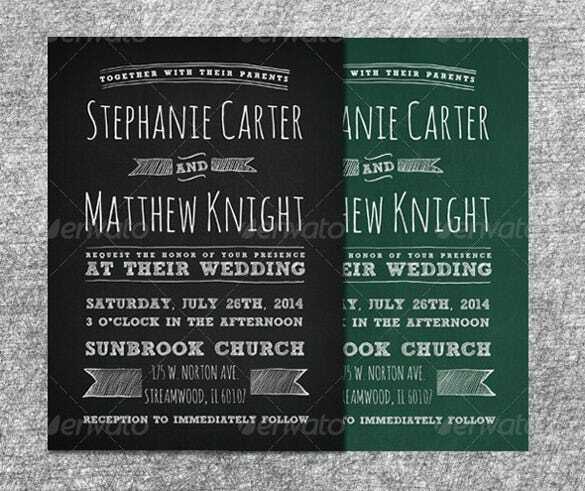 Use the theme of the black and white chalkboard wedding invitation and make the wedding remarkable! 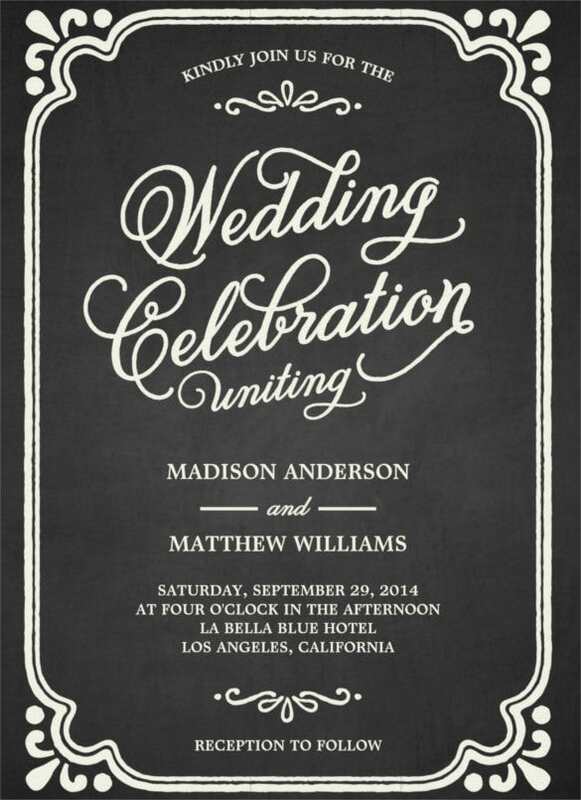 A wedding is where two lovers meet in complete freedom and go on together to explore the many possibilities of life. 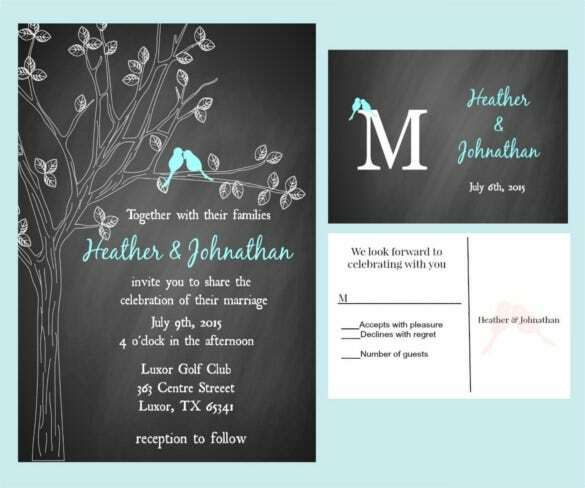 If you think the same, depict it on your wedding invitation with the help of this love bird chalkboard wedding invitation that shows two lovebirds romancing on the branch of a tree. 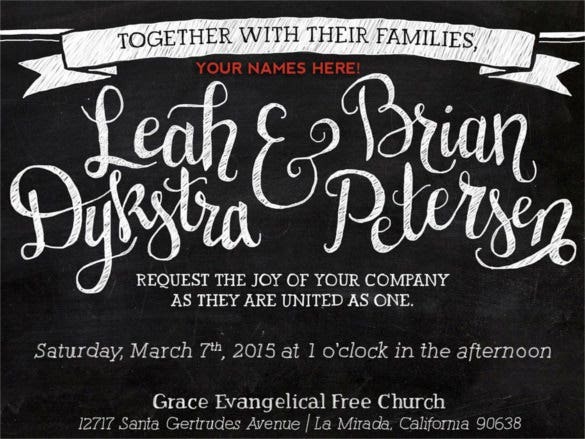 A single page of chalkboard wedding invitation may not look sufficient at times. 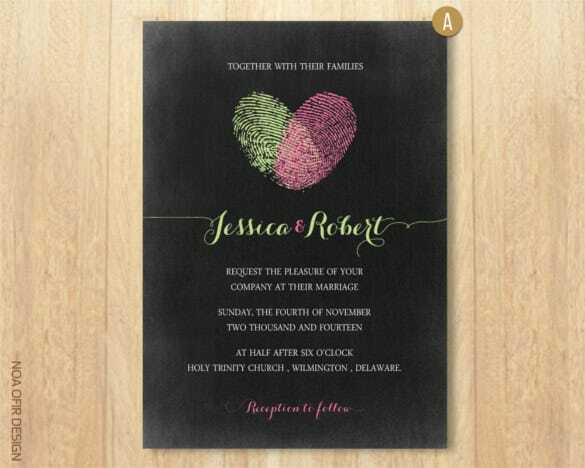 And if you want your wedding invitation to be more detailed but still with the chalkboard design, use this chalkboard wedding invitation set that has three different pamphlets. 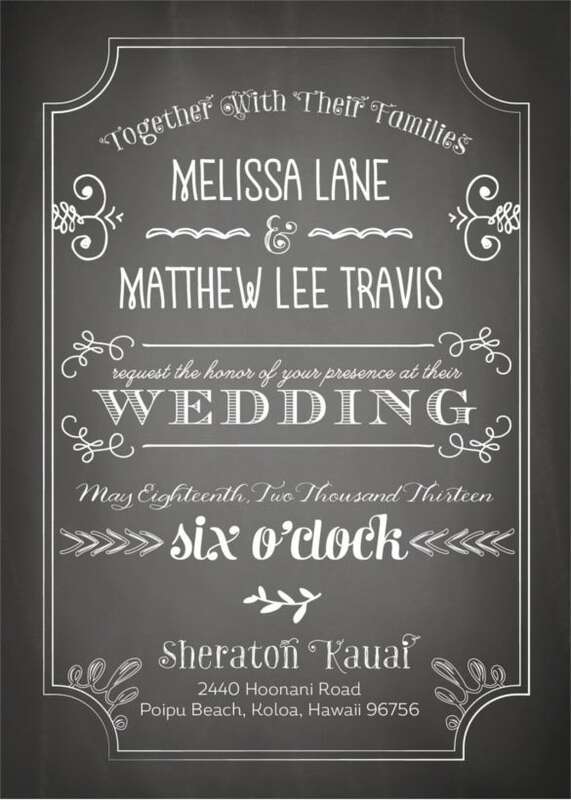 Add a personal touch to your wedding invitation by adding hand-written words on it with this custom hand lettered chalkboard wedding invitation. 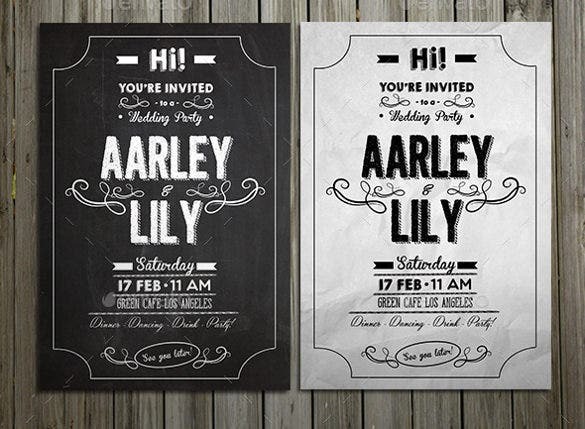 The rusty background of the chalkboard template makes it look all the more attractive. 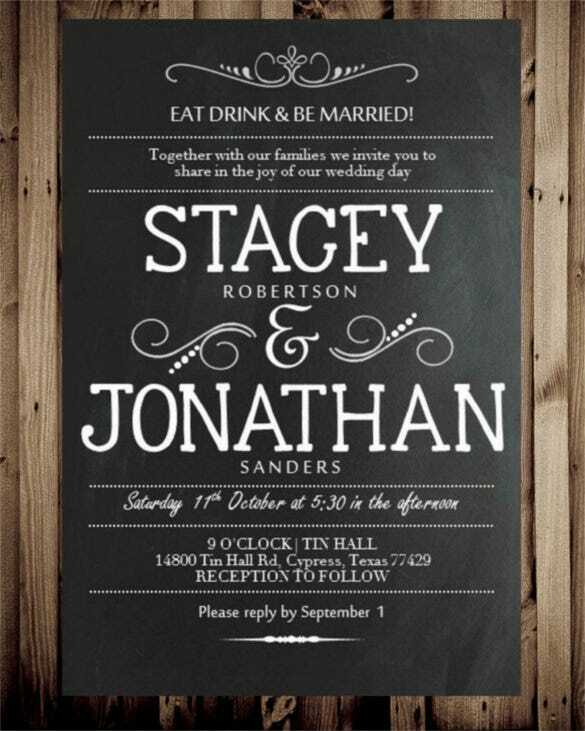 Although named shabby, this chalkboard wedding invitation looks very elegant and attractive with wooden backdrop and chalkboard surface. 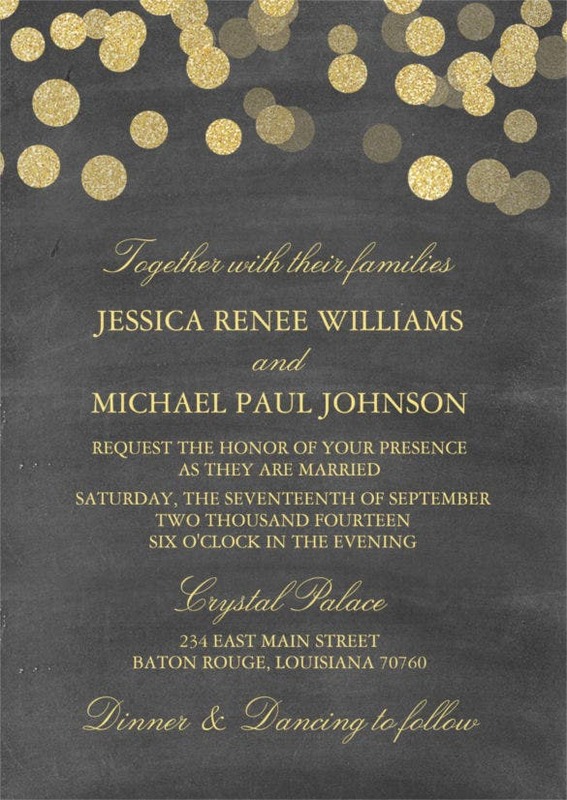 You can use this theme to send out your invitations and totally arrest the attention of your invitees. 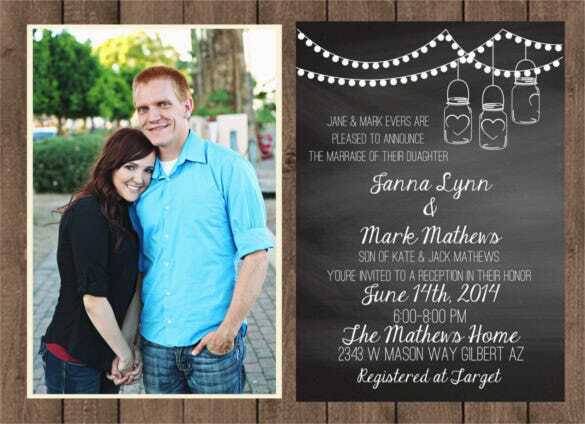 Send your wedding shower invitation in a very stylish manner with the help of this chalkboard couples wedding shower invitation. 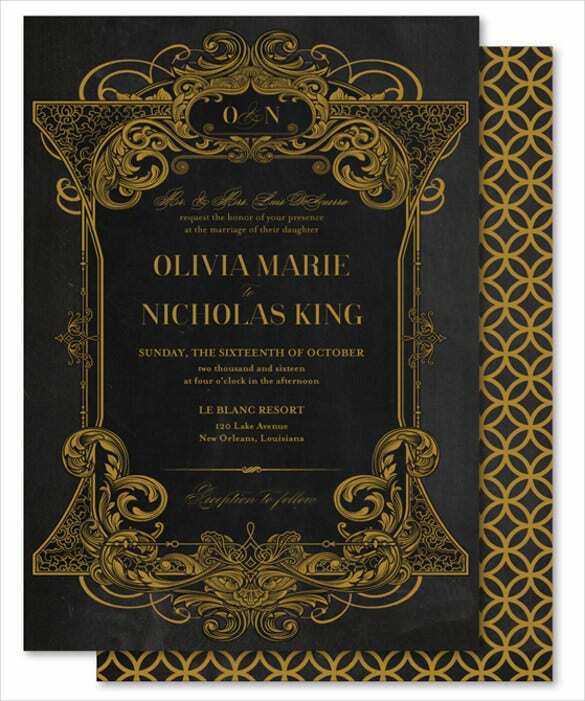 The font with which the matter is written on this invitation are very stylish and have a retro-modern look about them. 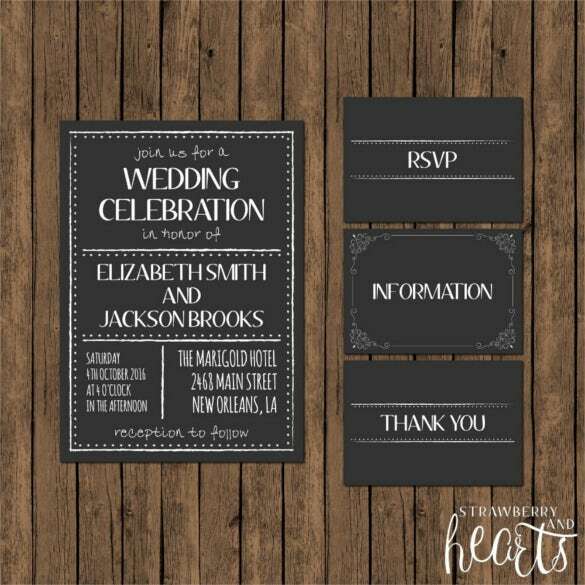 Make your wedding invitation look stylish and chic with this chic chalkboard wedding invitation that has simple designs in the chalkboard format and looks simple yet elegant at the same time.